Transformer (Insulating) Oil act as a medium for insulation in the transformer, circuit breaker, high voltage instruments, etc. 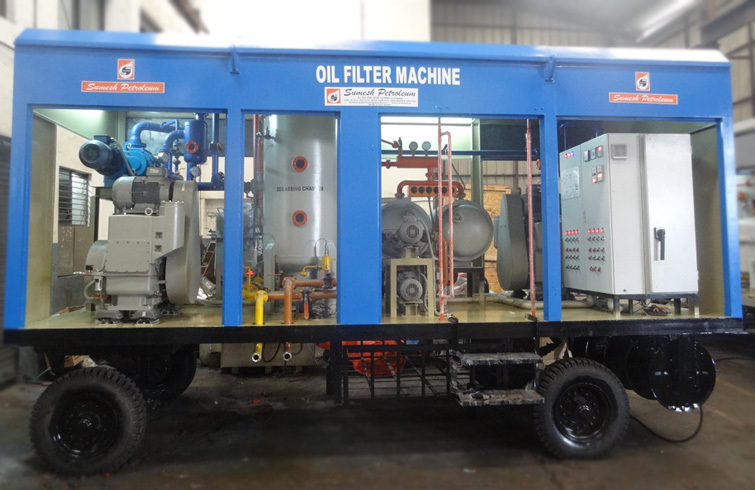 Transformer Oil is required to be filtered before use and even filtration is required after periodical time. 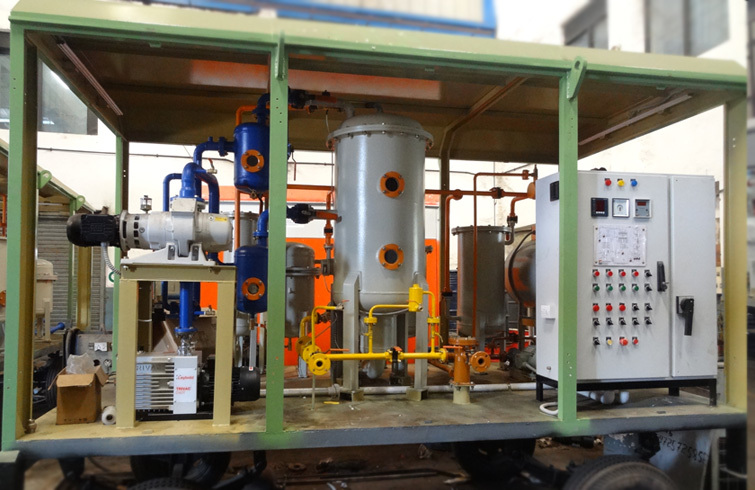 Filtration helps in removal of Moisture content, Dissolved Gases, Acidity, Sludge, Corrosion and other unwanted impurities, thus it helps transformer oil to improve its dielectric strength and Moisture content removal in transformer oil. 6. Any other automation required for factory operation like Cut out after certain liters, Auto Stop after achievement of PPM, Auto valve operation, etc.